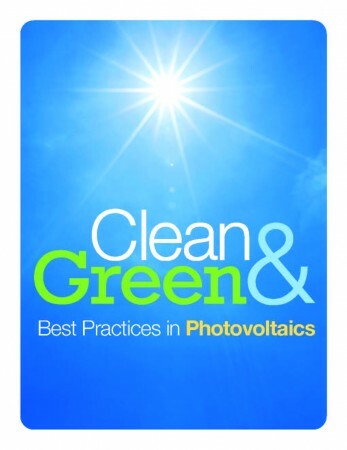 Clean & Green: Best Practices in Photovoltaics highlights the best practices of photovoltaic (PV) manufacturers to protect workers and the environment during the production of solar panels. This report presents, in non-scientific language, the process of manufacturing PV panels, the risks involved, and how companies mitigate those risks. It focuses on practices and policies companies use to mitigate risks from hazardous compounds, reduce environmental impact, and responsibly manage their supply chains. Historically, the solar industry has faced challenges competing against fossil fuels on cost and currently the industry faces additional challenges because large-scale manufacturing of solar panels currently requires the use of numerous compounds that are toxic to humans and the environment. Yet, even with these manufacturing challenges, the generation of electricity from solar energy is significantly safer to the environment and workers than production of electricity from coal and natural gas. It is our intention that this report be used by public and private investors, as well as consumers, to understand the challenges facing the solar industry in becoming a clean and green technology, and to learn how leaders in the industry are facing and overcoming these challenges to provide clean, abundant electricity for generations to come. Company practices were obtained as responses to a survey distributed to over 100 solar companies internationally. Best practices were determined via consultation with scientists, engineers, academics, and industry consultants.